Whoa! This is a first. At a White House press briefing yesterday, things turned wild. Fox News radio host Jon Decker showed up and announced the arrival of Gateway Pundit reporter Lucian Wintrich. Then Decker proceeded to yell, “They hate blacks, Jews, Hispanics.” He was obviously referring to the Gateway Pundit web site. Wintrich claimed that Decker accosted him and called him a white supremacist and a Nazi. Multiple witnesses to the conflict say that Decker never touched Wintrich. Dayum. 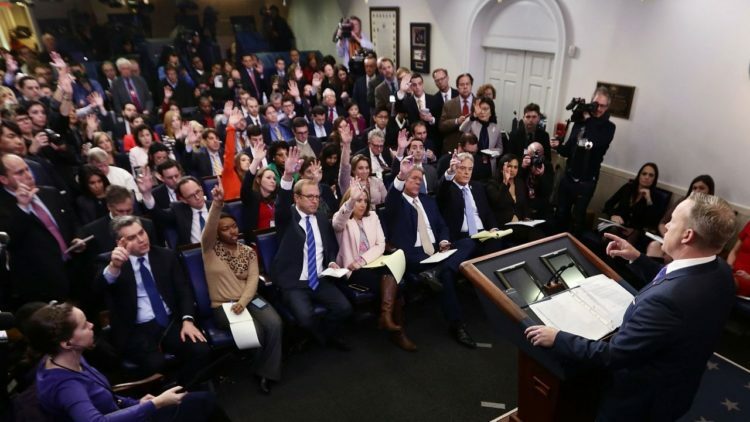 Evidently, the decision to grant Gateway Pundit White House press credentials seemingly rubbed Mr. Decker and his peers the wrong way on Friday. Decker emailed the entire White House email listserv telling them that Gateway Pundit would be at the briefing. It’s being reported by Fox News that Decker was reacting to previous tweets Wintrich had posted. According to a White House Correspondent in the room, several reporters shook Decker’s hands as he walked back to the Fox News radio booth. 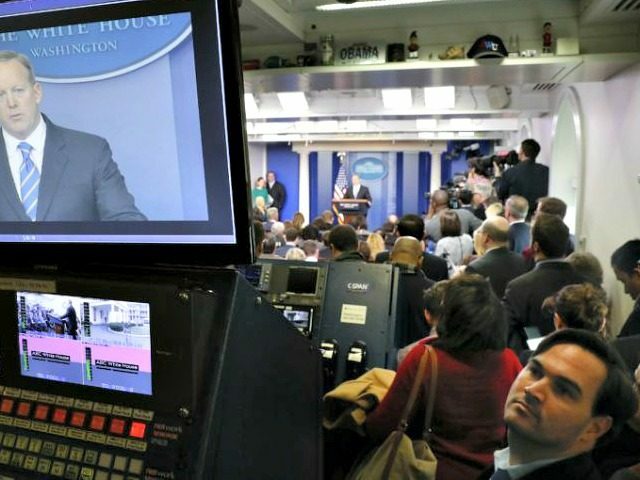 According to multiple media reports, a Fox News Radio correspondent and a reporter for far right-wing website Gateway Pundit engaged in a yelling match — and possibly a physical altercation — on Friday in the White House briefing room. The incident began when Jon Decker, a correspondent for Fox News radio, announced to the room the arrival of Gateway Pundit reporter Lucian Wintrich. According to a post on Twitter by Adrian Carrasquillo, a White House correspondent for Buzzfeed, Decker then yelled, “They hate blacks, Jews, Hispanics,” referring to the Gateway Pundit website. Wintrich said on Twitter there were witnesses to the altercation and that he plans to press charges against Decker. “There were witnesses in both assult cases. Luckally, there are real journalists here who saw Jon Decker assault me – I am pressing charges,” Wintrich wrote. So much for professional decorum. “Earlier today I had a conversation with a representative from the online publication Gateway Pundit,” Decker said in a statement. “The conversation was straightforward and direct. I also informed the full White House pool that this representative was present in the Briefing Room. At no time did I accost or assault this individual. More than a dozen witnesses will attest to this fact.” I understand that Wintrich sent a number of tweets to Decker earlier and that this resulted in the altercation, but I don’t know what exactly happened here. I don’t know either of these guys personally and I’m not going to throw shade either way here. I will just say that it is inappropriate to behave this way and leave it at that. Drama in WH press room between @lucianwintrich and Fox reporter I don't know. Not helpful for anyone. Let's stay calm everyone.